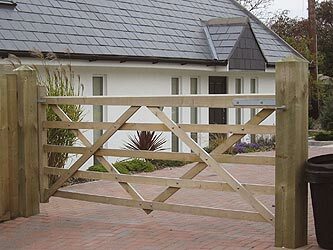 A traditional style with a smooth finish, very popular good value gate for residential and equestrian use and available in natural softwood timber pressure treated for long life with Osmose giving a light green finish. Further treatment should not be required, retreat for aesthetic purposes. Recommended Gate Post size is 7' high with the diameter listed below.